Mexican President Enrique Peña Nieto has revolutionized his country’s oil and gas industry, opening it for foreign investors after 75 years and taking strict action against the 20 years of production decline, political stagnation, and a slow, underperforming economy. With the constitutional reforms already approved and the Congress finalizing discussion to determine and implement secondary legislation, Mexico is gearing up for a new future. It could end this very week. Petróleos Mexicanos (Pemex) was previously celebrated as a symbol of national unity; the people of Mexico went as far as treat the day Pemex was established as a holiday. However, the oil and gas monopoly burdened the country by becoming a large employer of unskilled labor. In addition, as half of its revenues were paid to the government in the form of taxes, Pemex’s low income was not able to contribute much to the economy. In 2013, Pemex reported an overall loss of USD 13 billion and about USD 2.74 billion in the first quarter of 2014. Inefficiency and low revenues aside, Pemex became a nuisance as it interfered with the country’s politics, meddling with the government whenever possible. Therefore, change was necessary to bring the company and the economy back on track. By liberating the market from Pemex’s hold and allowing foreign oil companies in, the national Mexican oil producer will receive the help it needs to start efficiently producing oil. The reforms will also spare the Finance Ministry from its duty to approve the company’s budget. In addition, selling gasoline, which was monopolized by Pemex, will now be open to competition. This may come as a blow to Pemex, especially after being in control of Mexican oil for so many decades. However, the government is taking steps to ensure a little leniency towards its national oil company. Not only is the government proposing that Pemex pay it fewer taxes for the next ten years, but President Peña Nieto himself assured its 153,000 employees that they will not be losing their jobs. In order to boost Mexico’s production by 20% or approximately three million barrels a day come 2018, President Peña Nieto intends to separate Pemex from the government and make it function like a for-profit company. To give the company the help it needs to start oil exploration and production operations in 2014, the government will also provide USD 28 billion. Though it may seem like an unnecessary step since the government wants to weaken the company, it will actually open the opportunity to boost the competition level in the Mexican energy sector. 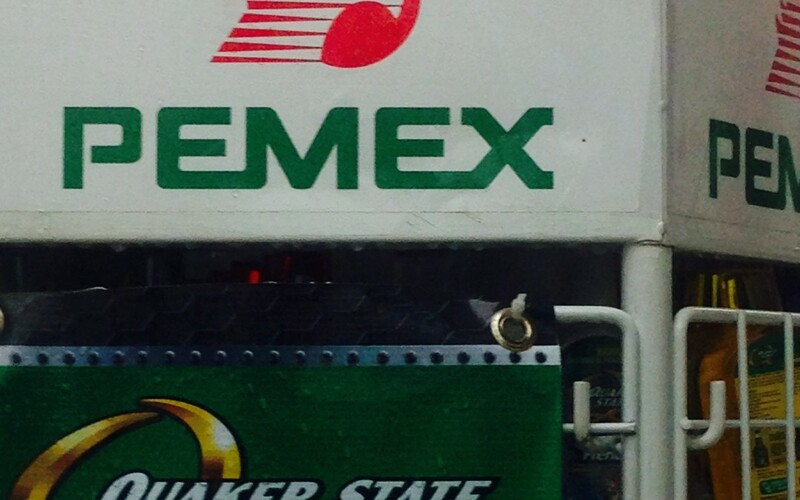 Pemex may even become as successful as Brazil’s Petrobras or Columbia’s Ecopetrol. Through these changes, money and expertise will be flowing through the Mexican energy sector. The U.S. especially will be interested in partnering with Pemex since it shares many reserves of shale gas and oil with its southern neighbor. The Mexican stock market in 2014 may not be as strong as experts expected, but many investors remain positive as the market has been trading at a higher valuation than most Latin American markets. However, investors are cautious, especially since the economy is still recovering. Besides, the past year came with its set of problems, including adverse weather conditions, lower government funding, and financial distress reported by three of Mexico’s top homebuilders. This explains why the Mexican economic activity did not meet forecasters’ expectations and the GDP growth amounted to a mere 1% in 2013. Complementing the energy reforms is Mexico’s fiscal reform, which has affected both companies and citizens. Around the end of 2013, before the tax reform was implemented, corporations hesitated before investing and hiring. However, things have changed in 2014 and companies are following the new fiscal rules and higher taxes. Similarly, individuals are starting to slowly embrace healthier habits as high taxes were levied on sugary, high calories foods and drinks. Their spending habits will also recover near the second half of 2014, which is when the true effects of the new rules will be noted. Investing in Mexico is not that difficult, especially since the country flaunts the lowest banking penetration in Latin America. Experts believe that the financial sector will help boost the economy and ensure potential growth in consumption. However, as is the case in any form of investment, there are numerous risks which can lead to devastating consequences including loss of principal. Foreign securities are especially most susceptible to currency fluctuations and economic and political uncertainties. Since the energy market is one of the emerging ones in Mexico, the risks associated with it are plenty. For starters, the lack of legal, political, business and social frameworks will cause chaos in the market. Prices will grow more volatile and the market will show lesser liquidity. There may even be numerous trade barriers and exchange controls, all of which may affect currency rates and ultimately reduce returns. Therefore, the government should start establishing regulations quickly. Corruption risks are also hindering foreign players. According to the Department of Justice’s Transparency International’s Corruption Perception Index, Mexico scored 34 out of 100 with 100 being a corruption-free country. Mexicans themselves admit this characteristic and even associate Pemex with it. However, even corruption is not deterring many large investors as they can always create a risk-based compliance program that is perfectly tailored to overcome risks. As the reforms are still at a delicate state, Mexican opposition figures are constantly criticizing them. However, officials like the Mexican Secretary of Finance Luis Videgaray Caso believe that changes are never easy. “Making fundamental changes is always challenging,” he said. “There… [is] some resistance to change. Mexico’s energy sector has a lot of potential to create jobs and to lower the cost of energy to families and companies across Mexico. But for that, we need to have investment and we need to have technology that we currently don’t have,” he added. However, opportunities will come Mexico in due time to those who follow and analyze in depth the reform.